Women have dominated the beauty industry for a long time. Women make up the majority of consumers of beauty products world wide. Lately, however, the tables have been turning, and men are slowly starting to show interest in beauty and fashion. The use of men’s beauty products is no longer stereotyped as a sign of weakness; instead, it is now the accepted definition of modern masculinity. Even though there is an ever-growing acceptance of men’s body care products, their use is still subtle. Men who use skin care products or hair care products do it lightly to accentuate their looks for either work or social functions. A few years ago men didn’t care how their hair looked. Society was staunch on roles and responsibilities. Now that men are working in TV, film and fashion industries, looking their very best is a no brainer. The uptake of men’s hair products is on a steady rise. Even men outside the scope of the media are learning to love themselves. 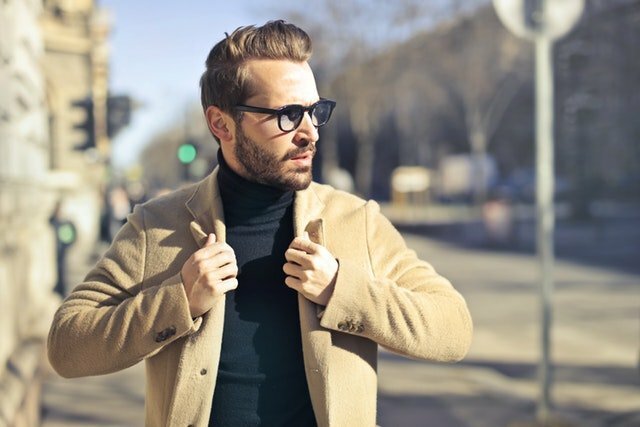 Men’s hair products include hair shampoos, products that add volume, hair dyes, beard wash, beard conditioner and hair food products to reverse balding. The results have been stupendous, with these men setting the pace in all aspects of their lives. Hair care in men is as rewarding as it is with women – high esteem in society, stronger social connections and better opportunities and at work. Check out our Beard Products Australia page for a range of men’s facial hair care products. Men are now actively looking for ways to subvert acne, dry skin, hyperpigmentation, and other skin conditions. There are many men’s face wash products, moisturisers, lotions, and cleaners hitting the market every day. Almost every man now has a morning skincare routine, and many are visiting skin care specialists in search for perfection. There is now a fully-fledged market of men’s mani-pedi products. City streets are buzzing with spa centres offering men grooming services that for a long time might have been limited to the female gender. It is all about seeking perfection and taking pride in your looks. Even in the professional setting, colleagues who are well-groomed leave a lasting impression on clients. Even more interesting is the number of men starting careers into the grooming industry. There is a whole world of opportunities for men who have the right talent to help others achieve their best looks. A majority of young men are also taking up careers as makeup artists or male models. Men’s grooming is becoming more fashionable, and if the society once had restrictions on how a man should appear, they have all waned into obscurity. Modern men are unapologetically stylish. Bearded Dragon Grooming is Australia’s finest online store for Beard Oil, Balm and male grooming products. Welcome to Bearded Dragon Grooming, Australia’s finest online store for Beard Oil, Balm and male grooming products. Australia’s finest online store for Beard Oil, Balm and male grooming products. At Contact Us page, fill up the enquiry form and we will get back to you within 24 hrs.